With the elections on the way, Telangana State will soon be thronging with VVIPs including the likes of Prime Minister Narendra Modi and AICC president Rahul Gandhi. HYDERABAD: With the elections on the way, Telangana State will soon be thronging with VVIPs including the likes of Prime Minister Narendra Modi and AICC president Rahul Gandhi. And apparently, every time they step out for a public meeting, one of the six Food Safety Officers (FSO) in the State would be accompanying them to check if there is any form of adulteration in the food they eat. 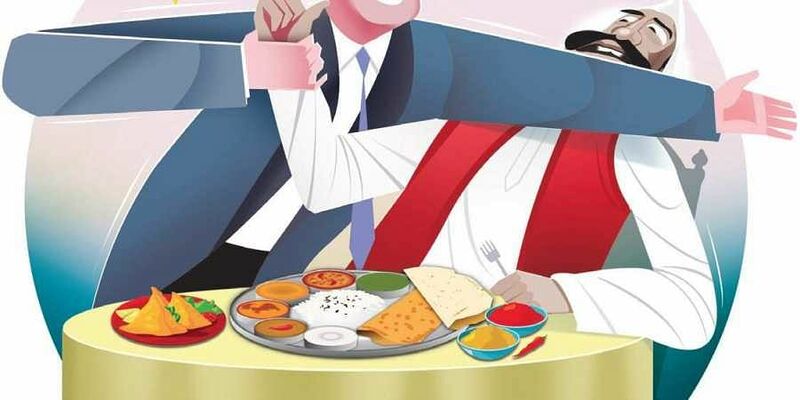 From checking the expiry of raw materials procured and adulteration in raw materials to tasting custom made cuisine before it is served, the officials of Food Safety and Standards Authority of India (FSSAI) are a busy lot. The FSOs have been tasked by the district collectors to accompany a majority of VVIPs who visit the State. The list includes prominent leaders like Vice President M Venkaiah Naidu, BJP president Amit Shah and several other union ministers. “The primary task of FSOs is to check if the raw materials like dal, oil and other edibles are in compliance with FSSAI norms and safe for consumption,” an FSSAI official told Express. Though the raw materials are found safe on most occasions, they have found to be non-compliant at times. “Many times, we have had to discard the raw material owing to its expiry date or adulteration,” the official informed. Once the food is prepared, it is tasted by a forensic science laboratory (FSL) technician, who then approves it for consumption. For this elaborate process, an FSO and an FSL technician is to be present with the VVIP, each time he/she is having a meal. Meanwhile, it may be noted that out of the 30 requisite FSO posts in the State, 24 remain vacant. Even when Chief Minister K Chandrasekhar Rao’s office asked for an exclusive FSO every time he goes out, the department was unable to deploy due to manpower crunch. They are instead deputed on a temporary basis. The skeleton staff is also giving way for adulteration to go unnoticed. “Compared to Gujarat, there are fewer prosecutions and penalty charged against errant eateries here. This is primarily due to the lack of staff,” an official said.